Seniors Health Card For Self Funded Retirees? 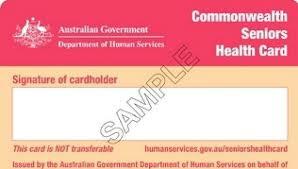 The Commonwealth Seniors Health Card can give self-funded retirees who do not qualify for a government Age Pension or Department of Veteran Affairs payment, the entitlements that others receive from the Pensioner Concession Card. These concessions and discounts are offered to self-funded retirees at the discretion of state, territory or local governments and sometimes private businesses. Many self-funded retirees can maintain their assets (there is no assets test) and continue to make quality investments rather than work out ways to reduce assets to “get on the pension”. or $80,000 a year combined for a “couple living together”. The adjusted taxable income limit for a “couple separated by illness” is $100,000 a year (a limit which also applies to couples separated through respite care or where one partner is in prison). These income limits are fixed in legislation and not subject to any form of indexation, and also increase by about $640 for each dependent child. You may apply to Centrelink only after attaining Age Pension age, but please always check with Centrelink for more information, including what makes up “adjusted taxable income”. Call the accountants at our Epping office on (02) 9871 3429 to see how we may assist with your retirement and taxation planning.